What Internet brought for us..
‘Cyber world’ the man made portal to affect the mass through media. Media that is Graphical (i.e. Text, Pictures etc.) or Non Graphical (i.e. Audios) or often the combination of both such as Videos, Games etc. and these media made the human life faster than ever before. Internet is the great platform to state your thoughts, your ideas in front of the world. Indeed internet is the best thing ever happen to mankind. The U.S. Department of Defense wanted a communication infrastructure that could survive a catastrophic Nuclear assault and that grows the seed of Internet (the ARPANET). At that time no one could even imagine what internet is doing today. This huge achievement is the result of consistency of Hard Work and continuous up gradation in technology. The use of Internet for Publishing Research papers and Scientific work gave birth to Internet Protocols which has soon became lot handy due to Invention of HTML in 1993. After that internet is happen to getting into its shape, and rest is the history today. Internet has become the Superpower and any being over the globe can access it. Internet is the Ultimate power and its developers knew it. They knew that its wrong use can cause Huge price to the world and to be safe they’ve tried to limit the use of internet by new and upgraded protocols and they achieved a good success to their practices but ultimately more the people get to know about internet and its power the man’s lust to get powerful and to show the world his individual existence some tried to break the laws by knowing the loopholes. 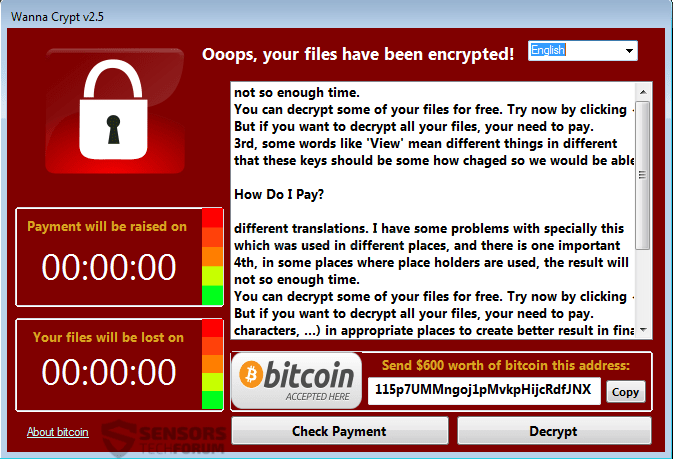 They began to threatening the others on this portal… “Wannacry” You must be aware of that stuff. It has shaken the whole world for some weeks. Rule breakers may be caught by Cyber Forensics but what about those people who manages to threaten the life of the people by not breaking any single rule… and now I’m talking about “Blue Whale” The game created by a Russian programmer who is currently behind the bars now. This game manipulates the you to harm yourself if you want to play you must have to do that and if you tried to cheat you will get threatened by the admin. Actually, the game works in the following manners.. When you sign up for the game you get added to a forum which provides you the dares. The game is a collection of 50 dares 1 step is 1 dare accordingly you get 50 dares. To win the game you have to complete all the 50 steps. Each time you completes the task you have to prove them that you Did. After 49 steps the 50th steps asks you to suicide by hanging or by jumping off the roof. This is the dumbest thing I’ve ever heard. I mean…. Which stupid will kill himself just to win a psycho game. But this idea may seems stupid but it took hundreds of lives around the globe since 2013. They programmer got arrested but he has shown the world the dark face of technology and its victims. Studies have revealed that maximum of the people killed by “Blue Whale” are found to be at age between 13-15 the kids who just started their lives just end it just for stupid virtuality. This has proved the world the kiddies of this new era are loosing their sense to difference the virtuality and reality. They are getting virtual blindness. The 5th generation is the “ Internet of Things”. The man will create the internet of everything but the symptoms we can see today are telling a very different horrifying fortune that…… man will include his everything into the Internet. This means internet will decide What will you cook today, what will you wear, where will you go, to die (suicide), how will you die, should you kill anybody? Because when you include internet to your life you use it for your good, you controls it but when you connect yourself to the internet it rules you. There is a fine difference between involving something orv getting involved in something it may looks same to anyone but it can bring your existence into a big question.. The incidences like “Blue Whale” are the warning alarms to the world understand it and lean your lesson. Otherwise you will spend your life for nothing because no one rules the internet.. it has no owner. ​I am Gaurav. To be honest everything I've achieved on my own is just my friends and the position of College Representative in an Election conducted by Sakal Media Group with th title "Young Inspirators Network". I am a typical student of Commerce. I am a college drop out from science college, you could say thats because I am too honest to not to cheat exam but anyway, those two years with science are not wasted, Hope some people around me could understand that. Gaurav Kautkar is earning by writing this article. You can also earn by writing articles.